Illustration similar. 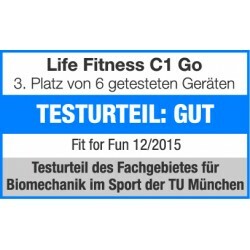 You get the Life Fitness exercise bike C1 Go with German speaking console. The Life Fitness exercise bike C1 Go brings high-quality Life Fitness gym quality to homeuse and fulfills requirements of demanding athletes as well. The comfortable saddle of the Life Fitness C1 Go can be varied in 14 levels - persons of different heights can exercise comfortably on the ergometer. 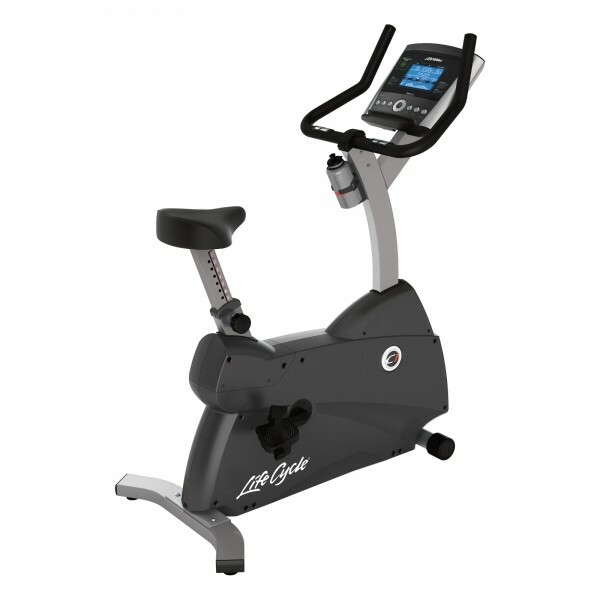 The multi-position handlebars of the Life Fitness Ergometers C1 Go offer a real race experience and many grip positions. Furthermore, the Life Fitness exercise bike C1 Go with self-aligning strap pedals provides safe stability while exercising. The Life Fitness exercise bike C1 Go has a cockpit intuitively to use to control your workout - at any time. The big, blue backlit LCD display informs about training data like pulse, calories, distance, etc.. You can quickly set your desired programs on the Life Fitness exercise bike C1 Go. Resistance can be varied in 20 levels - even experienced athletes can go beyond their limits of performance. 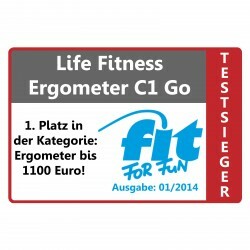 13 programs of the Life Fitness C1 Go ergometer provide diversion while exercising. 5 of these programs are heart rate controlled for a very effective workout. 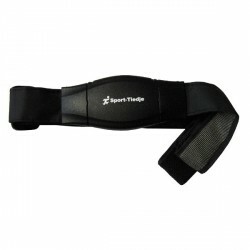 Pulse is measured by hand pulse sensors integrated in the Life Fitness exercise bike C1 Go or a provided chest strap. Thanks to user memory, 2 persons can save and call their profile at any time. 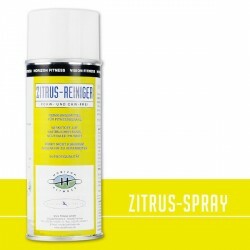 Horizon Citrus Cleaner In stock! Life Fitness exercise bike C1 Go add to comparison list.